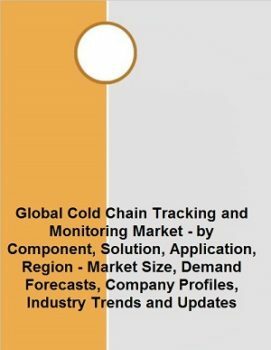 The growing organized retail, increasing refrigerated warehouses, changing government policies and regulations, and growth in pharmaceutical sector are the reasons for the growth of Global Cold Chain Tracking and Monitoring Market. The lack of standardization and high operational cost are the factors which restrain this market growth. Industry Structure and Updates In 2016 Thermo King has launched SLXi single- and multi-temperature trailer which is a new Hybrid Drive Trailer and based on Frigoblock inverter technology of new generation.